Get your Window Hair Extension Boxes from Packaging Papa in different sizes, colours and designs. We are giving error-free quality packaging and free shipping in the USA. Custom Window Hair Extension Boxes: You need to know the meaning of eye-catching which you already know for sure. For revising it, it is simply the quality of being notable for being attractive which brings all your attention. Eye-catching in the market is surely utilised for the products that consumers are attracted to. Every product cannot reach the status of being eye-catching, so to speak. There are a few products that succeed in passing customers’ assessment test. 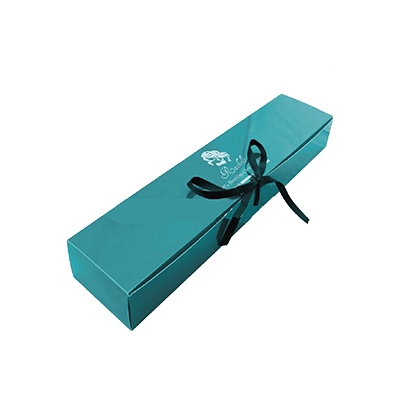 One of such products is unmistakably our custom window hair extension boxes. It is true that it has passed the assessment test of our consumers and that is why we always secure a top position in the market. 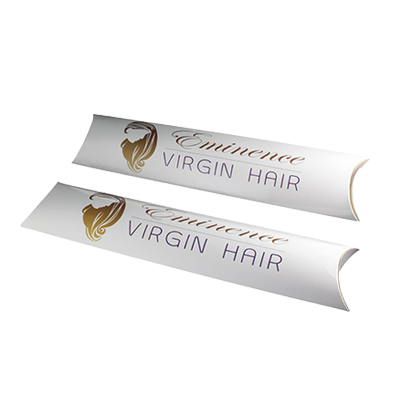 With the wide utility of hair extensions, manufacturers have begun to produce masses of this product as well as packaging manufacturers are also working that way. 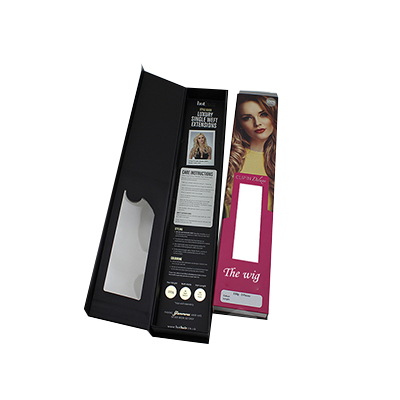 Custom window hair extension boxes that we have designed are the packaging boxes for extensions that our crowd of female clients can never stop themselves from purchasing. The brand collaborating with us must know that custom printed boxes are going to make their position in the market. It is because of their working industriously and of course with the help of the collaborating manufacturers like us. When a product blows your mind it has something intriguing in it because of which you get excited by it and it draws your attention. Our custom window hair extension boxes are going to blow your mind in every way and we have a wide variety of custom hair extension boxes. Every range of variety has something attractive in it. 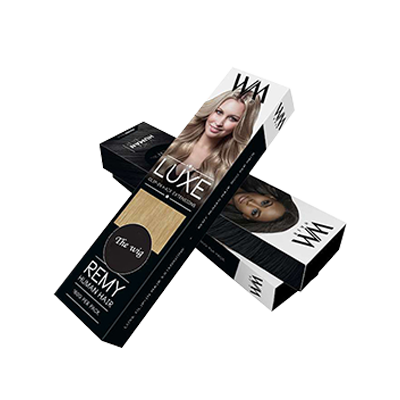 In custom window hair extension boxes, as the name shows, is made with a window. It can be got covered with a transparent material in order to make the view of the product packed inside, possible. It is really an entertaining product as females always get interested in something new and colourful. The colours we used really make this product beautiful. 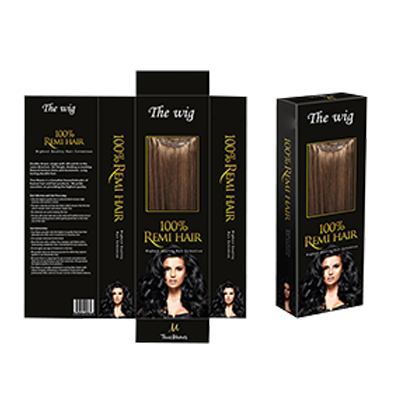 The innovation brought in these custom window hair extension boxes is the one that is definitely going to be liked by our female clients. The bright and glorious look of the packaging is just because our clients like it that way. The vibrancy and purity also depict the delicacy of the targeted crowd of consumers. This is what a business owner must believe as we do. In a market where there is a lot of unavoidable competition, only those survive who are fittest. Fittest simply means that the trading companies with a lot of brands at the same point are likely to excel only when the product is ‘fit’ in every way. The consumers’ definition of ‘fit’ is probably ‘the quality of a product that makes it look up to the mark and makes it perfectly workable’. We, keeping this in mind, have designed our custom boxes. Is it only a claim? No, it can never be a claim only. This is an answer that our clients always give. This is owing to the fact that Packaging PAPA is a reliable and trustworthy name. Your trust has made it possible for Packaging PAPA to be ’fittest’ to survive in a huge market. Custom Foldable Hair Extension Boxes | Custom Luxury Hair Extension Boxes | Custom Wig Pillow Boxes | Matte Black Hair Extension Boxes | Custom Hair Extension Logo Boxes and much more!